Southern Loggin’ Times’ September issue spotlights South Carolina’s Jody and Barry White, who run an operation that includes swamp logging and sawmill sides. Also featured are Ga.’s Suwanee Timber Co., where co-owner John Griffis maintains long-standing relationships through turbulent times, and Ala.’s William Miles, who makes more by using less. 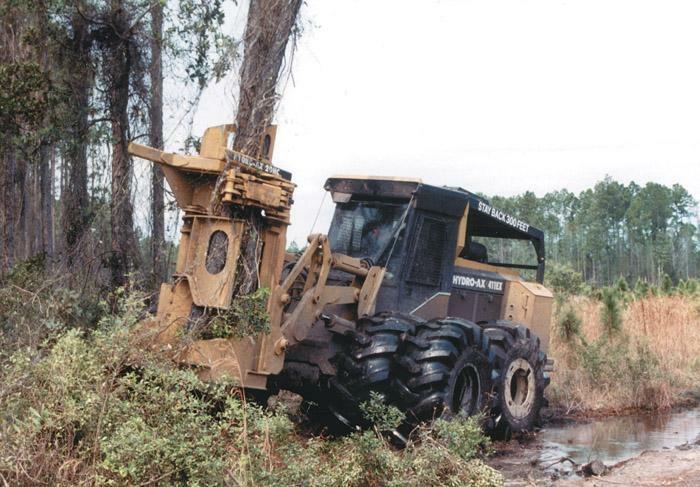 Florida’s Usher Land & Timber Inc. is highlighted for being chosen as FRA’s 2003 National Outstanding Logger. An article discusses SC’s Collum’s Lumber Products, LLC, where remaking of the family mill demanded strategic planning and teamwork. Continue reading the serialization of Sound Wormy. For more than four decades, Suwanee Timber Co.’s theater of operations has almost exclusively been in Clinch and Echols counties, on the western border of the Okefenokee Swamp. 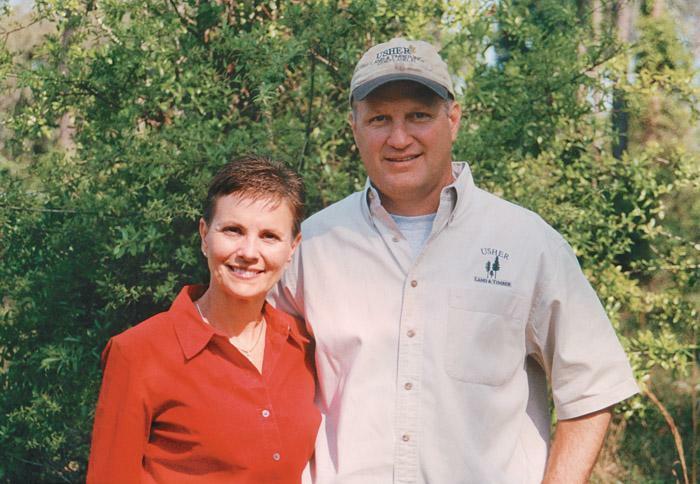 Since 1961, co-owner Johnny Griffis has followed in his father’s footsteps, primarily harvesting timber on Superior Pine Products’ extensive land holdings in southeastern Georgia and northeastern Florida. 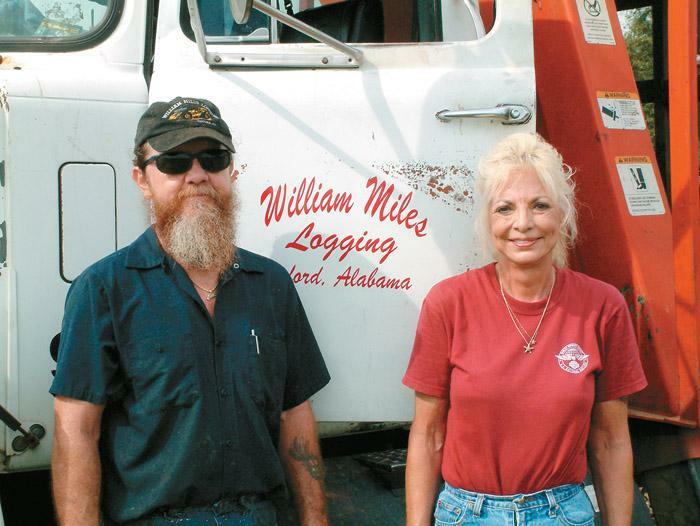 William Miles, doing business here as William Miles Logging, is something of a jack-of-all-trades. On his logging job, he does it all: runs the feller-buncher, skidder and loader and makes the hauls as well. His only help consists of his wife, Geraldine, who comes to the woods with him every day. He’s been operating this way for more than two years. For years, Miles operated a conventional treelength logging crew, cutting mainly for wood dealers. Usher Land & Timber, Inc. Even if they know little about how such businesses operate, visitors to Usher Land & Timber, Inc. (ULT) quickly realize that this logging company is anything but typical. If the family name is unusual, then its operating principles and standards, its esprit de corps, place ULT in a rare world class. That’s why the Forest Resources Assn. (FRA) selected the organization as its 2003 National Outstanding Logger. 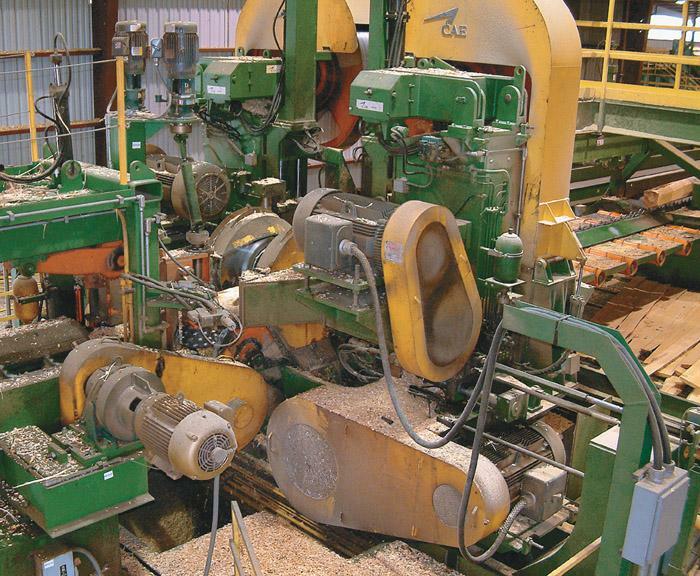 Beginning in 2000 with planer mill improvements, the latest step in the evolution of Collum’s Lumber Products, LLC culminated in mid-2002 with the renovation and reconfiguration of the sawmill. This $14 million plant-wide modification project involved new machinery from the outfeed of the debarker through to the stacker, relying mainly on CAE/Newnes-McGehee scanning/optimization and sawing systems (CAE/Newnes-McGehee has since been purchased by Coe). Vanguard SynFuels, LLC, is a company name you may want to remember. It’s a new Pollock, La. corporation spearheaded by loggers, foresters and others in the timber industry seeking to convert wood biomass to liquid fuels. Quick material conversion was once the stuff of science fiction—not any longer, the future is here. After two years of dedicated research, Travis Taylor, Bill Wiegner, Ron Skains and Dean Tyler, along with other investors, purchased a closed ammonia nitrogen plant with intentions of turning it into a wood refining operation. In Tennessee, where we operated three sawmills at one time, the Workmen’s Compensation Act was first put into effect in 1919, about six months after we had started the building of our sawmill at Montgomery Creek in Campbell County. About the first of August, one of our men left one morning on the train to cut timber at the head of the creek, and at 10 o’clock he was brought back on the train, having been killed by a felling tree. Eighteen of the nation’s 30 largest pulp and paper mills consumed more fiber in 2002 than in the previous year, according to the International Woodfiber Report (IWR). The newsletter reported that five mills used the same volume of fiber during the period while seven used less. 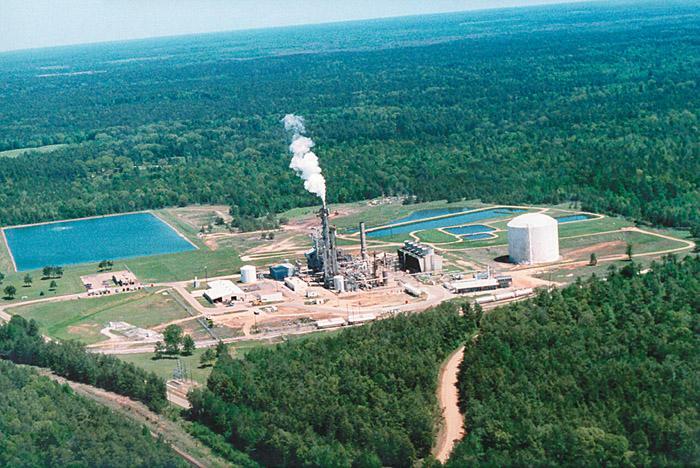 Parsons & Whittemore’s three-mill Alabama River complex in Perdue Hill, Ala. remained the largest one-site U.S. wood using center, consuming 4.7 million tons. This month, we’re taking a look back to 10 years ago. The cover story of the September 1993 issue of SLT featured Hal Jones and Eufaula Pulpwood of Eufaula, Ala. The company had recently started up a thinning crew, in addition to its three conventional crews and roadbuilding crew. 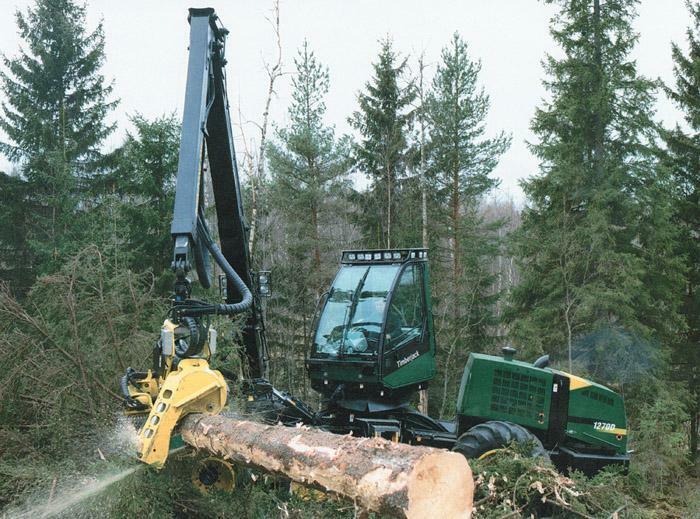 The thinning crew featured a Franklin 3000 tri-wheel feller-buncher with Universaw processor and Tree Farmer forwarder. Timberjack introduces a chain catcher designed by its affiliate Plustech. Chain catcher is a protective structure for the saw part of a harvester head. Chain catcher prevents whip effect of broken chain and reduces dangerous momentum. Catcher is mounted on saw unit and is a protective arc formed from rubber-coated steel. Three bolts attach chain catcher behind drive gear of saw unit.